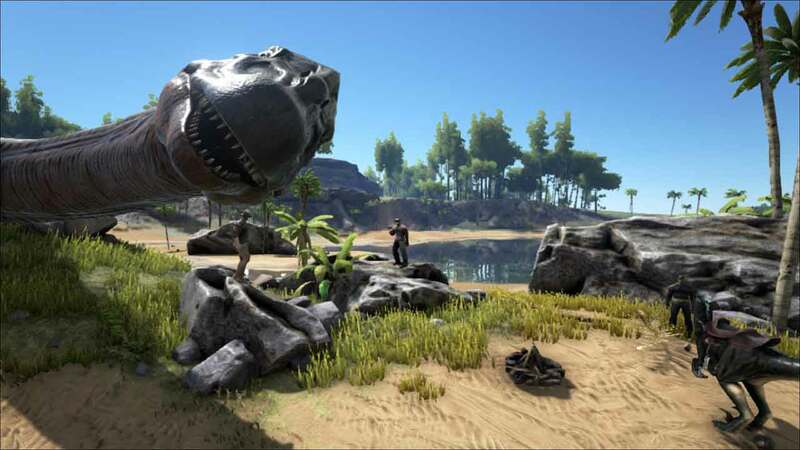 Over the weekend the studio that never sleeps, Studio Wildcard, released the second update for the recent release of the Xbox One version of ARK: Survival Evolved – introducing a flurry of new features and content including brand new dinosaurs and split-screen multiplayer support. In total 3 new creatures were added and exciting new items such as Beer Barrels and Electric Prods have also been introduced. Deep-Sea Loot Crates: Just what it sounds like. Cool stuff underwater. Beer Barrel: These craftable Beer kegs can make tasty brews, with various status enhancing effects, however the subsequent ‘hangover’ effects are not so pleasant!